The 2017 MTV Video Music Awards were held on August 27, 2017 at The Forum in Inglewood, California and it was a night of epic performances and stunning visuals. The show recognized how artists visually showcase the music we've fallen in love with over the past year. 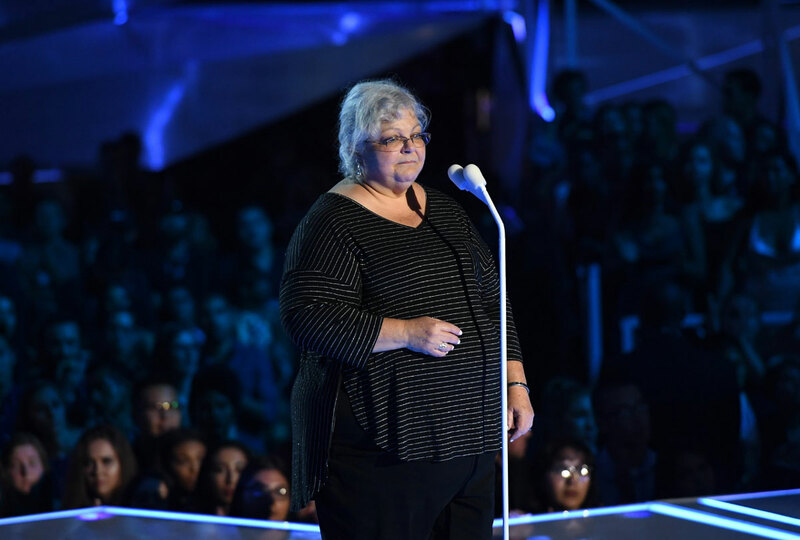 The 2017 MTV Video Music Awards best moments and highlights can be condensed in just one phrase: “The spirit of the good old 80’s is back.” Unity, artistic fight for equality and inclusion, videos that speak of social issues and political statements were an emotional ride of the iconic 80’s and they were brought back to life in this year’s show. Kendrick Lamar’s “Humble” won video of the year, best hip-hop video, direction, cinematography, art direction and visual effects on Sunday at the Forum in Inglewood, California. Bennington’s tribute: ‘Reach out. Share your thoughts’. Oscar winner Jared Leto, who is also the frontman of rock band 30 Seconds to Mars, remembered Linkin Park’s Chester Bennington, who hanged himself in July. Leto also mentioned Chris Cornell, who hanged himself in May. The night also featured political moments focused on the rally in Charlottesville on Aug. 12 turned violent after Nazis and white nationalists opposed to the city’s plan to remove a statue of Confederate Gen. Robert E. Lee clashed with counter protesters. Heather Heyer, 32, was killed when a car plowed into a crowd. “We must show these Nazi white supremacist jerks in Charlottesville, and all over the country, that as a nation with liberty as our slogan, we have zero tolerance for their violence and their hatred and their discrimination. We must resist,” Michael Jackson’s eldest daughter said before presenting an award. Lamar’s performance kicked off the three-hour show – hosted by a forgettable Katy Perry. 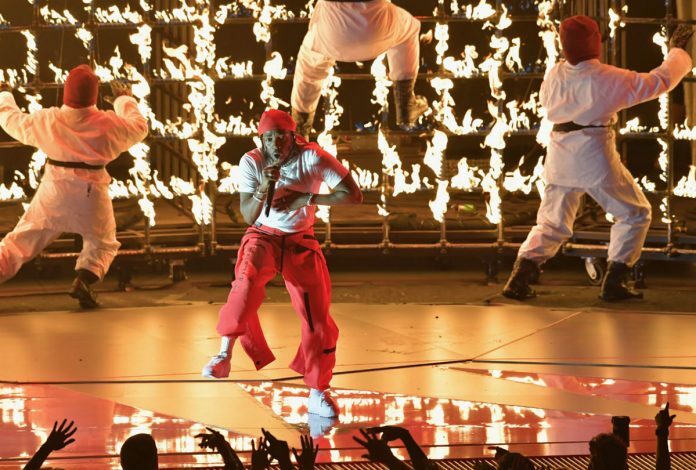 He gave an explosive performance of “Humble” and “DNA,” backed by ninjas dancing near fire. But another rapper had the night’s most memorable and touching performance. the premiere of Swift’s video for “Look What You Made Me Do,” which featured the singer dressed like a zombie in one scene and surrounded by slithering snakes in another. The video for the track, rumored to be a diss toward Kanye West, also featured Swift in a tub of diamonds, a cat mask, and a car that crashed (she was holding a Grammy). The clip ended with a dozen of Swifts – in memorable outfits she’s worn in the past – portraying how the singer felt the media has portrayed her throughout the years. Ed Sheeran performed his hit, “Shape of You,” and was later joined by Lil Uzi Vert. Sheeran won artist of the year, a new award established after MTV eliminated gender categories like best male and female video. 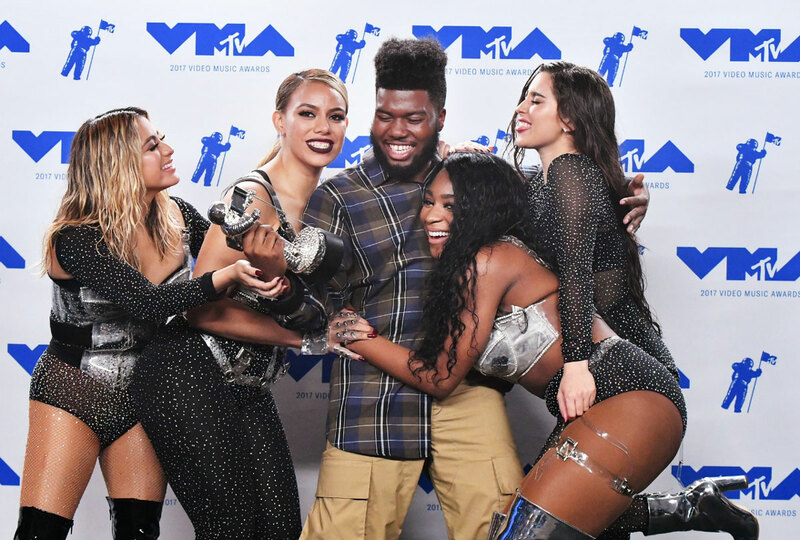 Fifth Harmony, who lost a group member last year and released their first album as a foursome last week, won best pop video for “Down.” Ally Brooke and Dinah Jane of the group were in tears as they accepted the award alongside Normani Kordei and Lauren Jauregui. Fifth Harmony started their performance standing on high platforms to sing “Angel,” then falling backward like superheroes. Then followed it with the upbeat “Down,” taking a break from singing to perform some intense choreography. Later, water rained on the four girls, who dropped their microphones at the end of the performance. Lamar’s win for video of the year beat videos by Bruno Mars, DJ Khaled, the Weeknd and Cara. “Despacito,” which was snubbed in the video of the year category, lost the only award it was nominated for: song of summer. Luis Fonsi and Daddy Yankee’s international hit is the most viewed video on YouTube and currently No. 1 on the Billboard Hot 100 chart. MTV said Universal Music Latin Entertainment didn’t submit the video, while the record label said they weren’t asked to send in the clip. Winners of the MTV Video Music Awards, presented Sunday at the Forum in Inglewood, California. Fight against the system: “Black SpiderMan,” Logic feat. Damian Lemar Hudson; “Immigrants (We Get the Job Done),” The Hamilton Mixtape; “Light,” Big Sean; “Scars to Your Beautiful,” Alessia Cara; “Stand Up/Stand N Rock #NoDAPL,” Taboo feat. Shailene Woodley; “Surefire,” John Legend. These are the 2017 MTV Video Music Awards best moments and highlights. Enjoy photos and videos of this year’s show, and a complete list of MTV VMAS winners.